First day of the season is a wrap!!! First trip of the 2014/15 of the OvR season in the books!!! Day 1 – Killington Mountain, Vermont!! 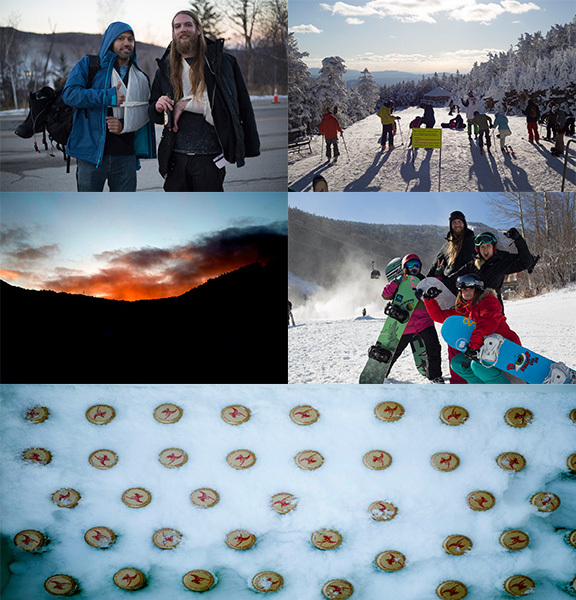 Killington Resort boasts the longest season in the east, and our first trip of that season is officially a wrap!!! This past Saturday, skiers and riders joined us, packed a full bus and charged the hill for the first time since South America earlier this summer. There was certainly no beating the weather for an early season November Saturday with sunny bright bluebird skies and minimal wind. Killington snowmakers were expanding the terrain throughout the mountain and provided fresh snow from top to bottom. That’s right, Killington isn’t just open, they’re open Top to Bottom!!! With no signs of slowing, Killington is pushing for more and more open terrain! Killington snowmakers were expanding out all day with Ramshead, Catwalk and The Canyon as their immediate objectives, but with our Killington Thanksgiving Weekend nearing, you can bet that they’ll be capitalizing on every window of favorable weather to make sure the majority of the mountain is prepared for more OvRiders!!! Get some in Killington’s Reason Park! Just like the rest of the mountain, they’re pushing and expecting to reorganize the park with a fresh look before this weekend. Does that mean the park was lame this past Saturday? Definitely NOT! The Reason snow park had seven great features on Saturday, including small and large obstacles for all skill levels which people were hiking pretty consistently throughout the day. The whole crew was shredding Killington Tough!!! Smiles all around for the Day 1 Snow Fiends! At 4pm, it was a wrap… for some guys literally, but regardless of a few first day injuries the bus was in great spirits as we brought it back to NYC. Snow Fiend Mission 1 Accomplished! Please join us the next 2 weekends when we head back to Killington and continue to open the East Coast On-Snow Season!!! CLICK HERE TO SEE MORE FROM OUR FACEBOOK GALLERY!!! This entry was posted in Chris's Blog, Events, OvR Shout Outs, Trips and tagged Killington Day Trips, Killington Mountain, Ovrride, Skiiing, snowboarding. Bookmark the permalink.